Karen is a native Texan born and raised in Dallas, now living in southern California. Karen was first interested in art when she was accepted into an honors art class at the age of 13. She has been creating art non-stop since then. 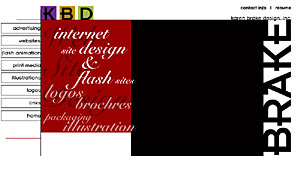 Certificate of Computer Graphics in Multimedia. Bachelor of Fine Arts Degree; Major: Advertising Art, Dean's List. Monet's Gardens, Summer with Rob Erdle 1986. She first started painting plein air paintings in watercolors on a hillside overlooking Lake Geneva while attending the American College of Switzerland in the summer of 1986. She was influenced by her instructor Rob Erdle's bright, colorful, whimsical landscape paintings. After receiving several degrees in commercial art, Karen spent 20 plus years on her career in graphic art, illustration and Internet design for the entertainment and communication industries. In 2005 she jumped back into drawing and painting by attending Watts Atelier in Encinitas, CA. In 2006 she started her Jazz Cafe series of musician paintings. November 8 - December 22, 2006 she had her first Jazz Cafe show. The show was called "Jazz It Up in November" featuring Jazz music 4 days a week at E Street Cafe in downtown Encinitas, CA. After taking a plein air workshop with Greg LaRock in Spring 2007 she rememberd how much she loved painting outside.